Mark Karsner has represented thousands of people in personal injury cases since he became a lawyer in 1979. Until the mid 1990s, Mark worked on behalf of injured people as well as defended cases for Insurance Companies. Since then, Mark has been able to draw on his experience representing victims of accidents. 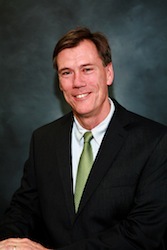 Mark has had considerable trial experience and has handled cases throughout Massachusetts. With Jim Meehan, Mark founded the firm of Karsner & Meehan, P.C., in 1995. Since that time, Mark has developed an extensive alternative dispute resolution practice. Both Insurance Companies and Attorneys have selected him time and again to help them resolve their cases as either a Mediator or Arbitrator. Mark has lectured to other Attorneys through the Massachusetts Bar Association and Massachusetts Continuing Legal Education on such topics as trial practice, insurance law, and mediation. Outside of the office, he serves on the Board of Directors of several charities such as the United Way and YMCA. Mark lives in Raynham, Massachusetts with his wife, Colleen (who is also an Attorney in the firm). Although their three children are grown, they enjoy spending time with their extended family. Aside from the office, Mark’s interests include woodworking, sports, and reading. His Spanish is getting better every day.